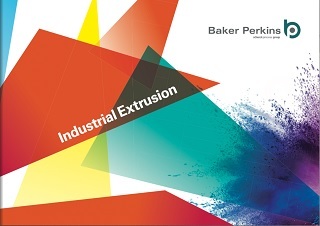 Baker Perkins supplies a comprehensive range of twin-screw extruders for applications from small batch up to high-output continuous production. The extruders have been specifically engineered with features that help to maintain consistent quality while keeping running costs low. 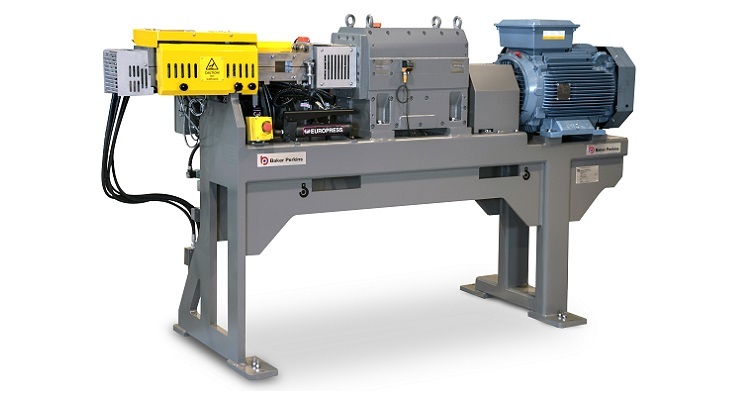 Baker Perkins’ patent-pending MAX³ feed system features a re-designed feed port and screws to improve flow of material into the extruder barrel and air out of it, contributing to higher throughput. Lightweight, low density materials are now handled more efficiently, eliminating the need for side feeding, which reduces capital cost, floor space and running costs. The high torque-capacity, high free-volume geometry and uniform barrel heating ensure that consistency is maintained under all operating conditions. Quality is maintained at high output or with low bulk density materials with optional features such as Baker Perkins' exclusing MAX³ feed system and side feeding. Quick start-up, reliable operation and rapid changeover keep operating costs low. All wear parts are long-lasting and easily replaced and when combined with the ultra-low maintenance drive train result in minimal maintenance costs. Straightforward set-up and adjustment means that very little operator attention is required for efficient running. The clamshell barrel can be opened quickly and easily for regular cleaning or changing the screws while the open-fame design and high ground clearance mean that it is very easy to keep the area around the machine clean. In addition to the extruder, a complete process line comprises ingredient weighing and feeding before, and cooling, flaking and grinding after the extruder. 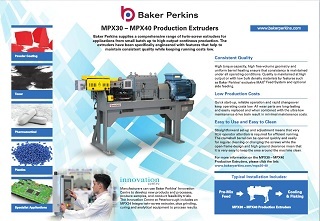 Baker Perkins works with a number of different partner companies who can supply all the pieces of equipment required to put together a full process line. Each of our partner companies specializes in their particular technology so customers are assured of excellent performance throughout the process. Working with partners ensures that the capacities of the individual units are matched and that mechanical and electrical interfaces are optimized before the equipment arrives on site.